Ostia Products are formulated with gentle, natural ingredients to maintain the beauty and health of hair for men and women—in the salon and at home. formulated with gentle, natural ingredients, all Ostia Collection products are free of sulfates, paraben, sodium chloride and alcohol, and made in the USA. 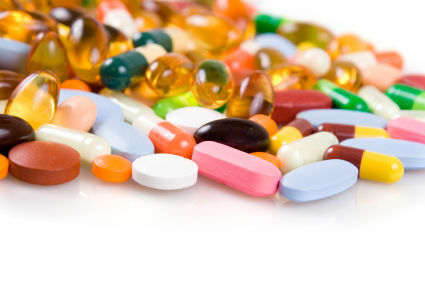 Their additional features, such as heat protection and B5 protein, make them great for both natural hair and extensions. Whether you’re looking to enhance your style with fuller hair, or want health-conscious hair care products, you will find it with Tony Odisho. President and Founder of Tony Odisho began his career in Rome Italy where he studied cosmetology at Marelena. 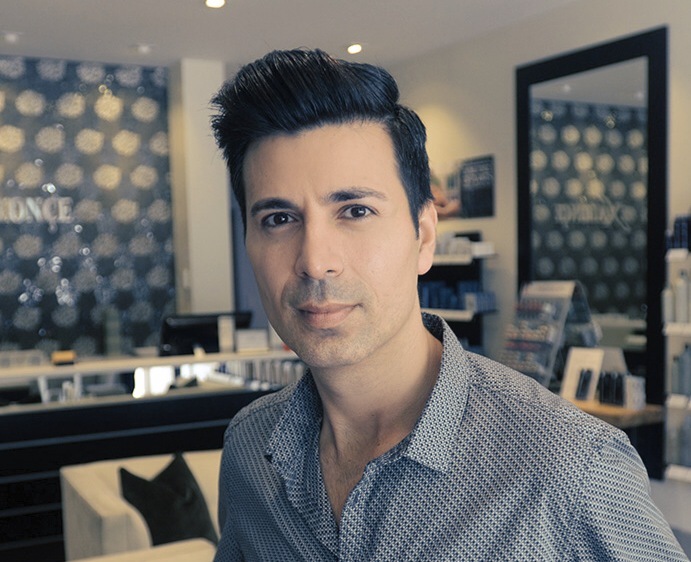 The young and ambitious Odisho immigrated into the United States determined to bring the best beauty practices from Europe, and he was promptly hired by L’Oreal Professional to work as an educator and color expert. Following this, Tony Odisho opened his acclaimed Chicago salon and spa, Exsalonce, in Roscoe Village. 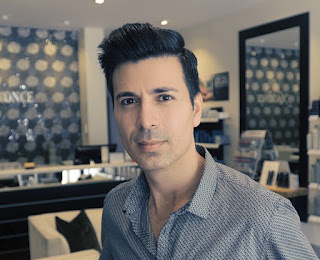 Tony’s reputation as a master extensionist and businessman landed him an executive position for a major hair extensions brand. In 2009, Tony Odisho decided to create his own line of extensions that met the demands of his own salon and he created Tony Odisho Extensions. With a decade of industry experience behind him, master/celebrity stylist Tony Odisho has developed his own hair extensions and hair care product line based on client and stylist input. 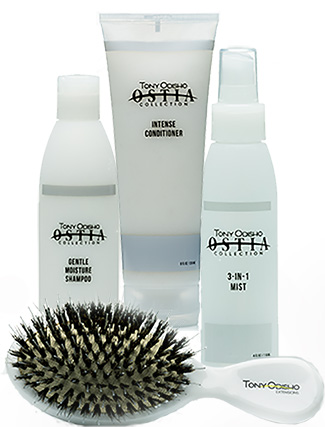 The Beautiful Hair Kit from the Tony Odisho Ostia Collection includes everything you need to get salon results at home — Gentle Moisture Shampoo, Intense Conditioner, 3-in-1 Mist and Detangling Paddle Brush. The Gentle Moisture Shampoo does more than just clean. This sulfate free, low lathering cleanser nourishes and replenishes dry, damaged hair. 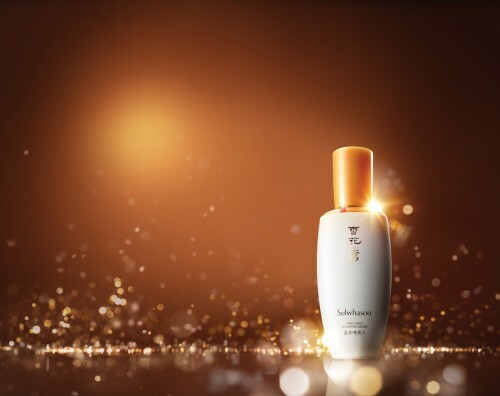 The Intense Conditioner nourishes your hair. This nutrient rich moisturizer is both a daily conditioner and a weekly deep conditioning mask. The 3-in-1 Mist is the power of three detangles, adds shine and protect. This vitamin-packed mist leaves hair soft, healthy and manageable without adding weight or buildup. The paddle brush is a Tony Odisho Ostia Collection client favorite! Our brush is made with the highest quality of mixed bristles that are strong enough to detangle your hair but gentle enough in creating a silky smooth style. Great for both wet and dry hair and a perfect complement to the 3-in-1 Mist.